It’s really difficult to be an inflatable, robotic personal healthcare companion, much less an ad-hoc superhero, without the right gloves. Baymax needs his hands to check on his patients, hand out lollipops, and, of course, blast anyone who threatens Hiro. Unfortunately, these gloves won’t give your child any of Baymax’s abilities or Scott Adsit’s charming voice, but it will let their hands look just like their favorite lovable robot’s––or do the whole package and get an official Baymax costume. Complete the look with these gloves, and your child will be ready to suit up for some serious Big Hero Six action! These Child Red Baymax Gloves mimic Baymax’s armored form’s sleek, red appearance and are 100 percent polyester with foam polyurethane. Despite Baymax’s 3-fingered hands, all 4 of your child’s fingers (and their thumb, we didn’t forget about that) will fit into these gloves. 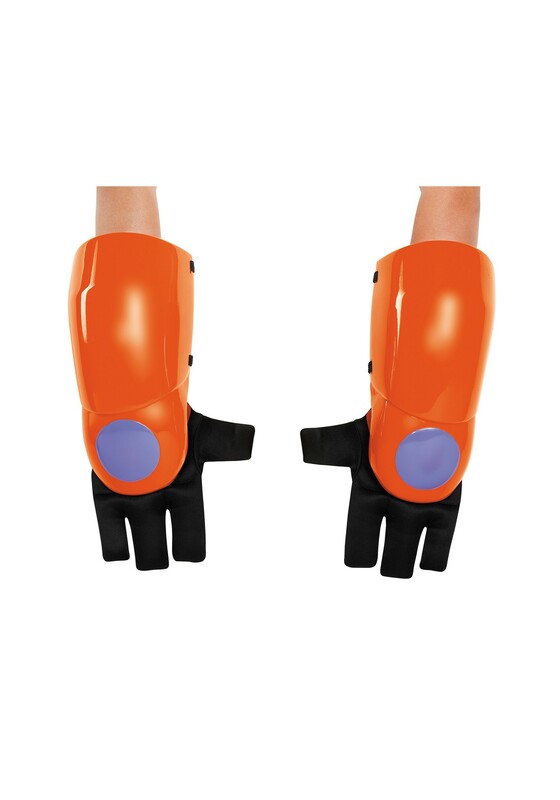 The armored plastic cover attaches to the glove with Velcro, so your child can take it off when it’s time for some upgrades.